Last month, Kitfox Games took the internet by storm with the announcement of their new “Shack-n’-Slash” game, Boyfriend Dungeon. Covered by all major game news outlets, the game’s trailer has already racked up over 60,000 views on Youtube. I think it’s the absurdity of the premise—”Date your Weapons”—that drew my attention to the game immediately. After Hatoful Boyfriend, where you date pigeons, and Missy Brinks’ favorite game being My Horse Prince, I mean, why not? Thankfully, Boyfriend Dungeon doesn’t seem to go in that completely bizarre direction, but rather a charming one. Judging by the trailer, your tiny character has to battle through a series of rather unconventional dungeons in order to get their hands on a series of badass weapons. But that’s only the start; soon after, the magic happens, and your sweet, sweet loot turns into even sweeter babes who are ready to win your heart. Borrowing from the press kit, in Boyfriend Dungeon you can “capture the hearts of cuties to level them up,” which promises a very interesting mixture of gameplay: whatever you choose to do in the romance part of the game will affect your ability to progress through the dungeons. And once the dungeon has been plundered and the danger has passed, you can take them on dates with the very same coins they helped you collect—if that’s not the ideal relationship, I don’t know what is. Tanya X. Short is the Captain at Kitfox Games, and Co-Founder of Pixelles, a group dedicated to empower women in games. In the wake of Boyfriend Dungeon’s announcement, she talks to us about the game, the studio, and what’s in store for them during 2018. Hello Tanya! Thank you for taking the time for this interview. Are you at all surprised at the reception of Boyfriend Dungeon’s announcement? You must have worked very hard toward this well-deserved moment. Tanya: Thanks! Well, whenever you announce a game, you secretly hope people will go nuts over it… and we’ve had successful announcements in the past, but this is the first time it’s been so explosive overnight. It’s encouraging to see, for sure. What does the title of ‘Captain’ at Kitfox entail? Can you give us an overview of your role in the project? Tanya: Historically, I’ve done almost everything that isn’t programming or art! Thankfully, I now have Victoria taking over community management and helping out with PR/marketing. But I still have to act as game designer, creative director, project manager, writer, business developer, and human resources. Every project you’ve done at Kitfox seems pretty different, can you tell us a bit about your design philosophy as a whole? Tanya: Thanks! Well, there’s so many fascinating things in game design and the world in general that it’s easy to end up with completely different games, just by going down a slightly different line of inquiry. I always want to make something beautiful, which challenges my skills and my team’s skills, and that’s a moving target. Dating sims and romance-based games are growing in popularity in the North American console and PC market. Where do you think that comes from? What made you want to do a game based on romance? Tanya: Honestly, 15 years ago, when I first started working in the game industry, I thought dating sims would blow up in the mainstream. Romance is a nearly universal human interest, certainly moreso than firearms, judging by our species’ survival. Relationships are an intrinsically fascinating system to me, with so many factors—they say love happens when you’re in the right time at the right place, but games let you explore the fantasy of falling in love in many different times and places. In Boyfriend Dungeon, the player’s weapons turn into beautiful characters who can be taken on dates. How does this magical transformation work? Are you free to discuss this yet? Tanya: Sorry, can’t talk about that yet, haha! You’re emphasizing inclusivity as a key feature of Boyfriend Dungeon. Is that part of your philosophy at Kitfox? How does that impact your writing and character design, your marketing, and even your team composition? Tanya: We absolutely believe in inclusivity in all our games, not just in representation but also in the development team. Selling to various demographics and/or picking an under-served niche isn’t particularly virtuous (that’s just smart business), but we also strive to hire more diverse folks. Although small, our team is composed of many different nationalities, languages, sexualities, ethnicities, and genders. We’re not perfectly representative of humanity, of course, and we are probably still too “typical” overall, but… we’d like to continue working in it. Boyfriend Dungeon‘s release date sounds like a million years away! What do we have to look forward to in the meantime? 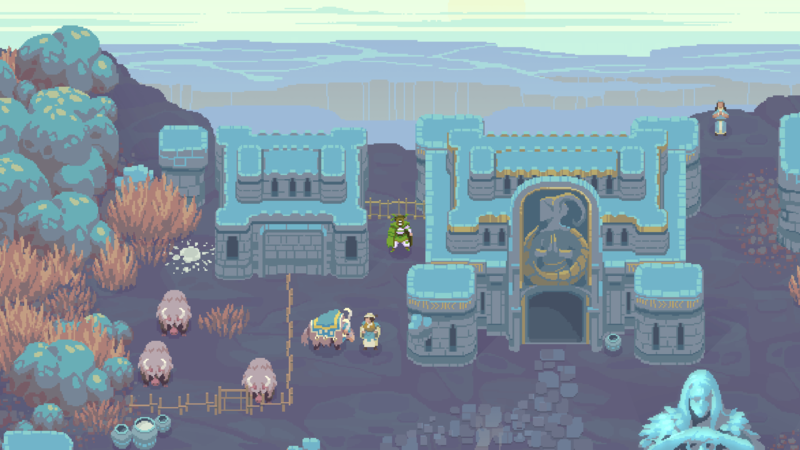 Tanya: Well, Moon Hunters comes out on Nintendo Switch on October 26th! We’re also going to be announcing a DLC for The Shrouded Isle soon, with a couple of other tricks up our sleeve. Don’t worry, we won’t disappear for the year. Last but not least, the question all my internet and real-life friends are asking: What’s with the cat? Tanya: Cats are great! I love to pet them, don’t you? Sure do! Thank you very much, Tanya! I hope production goes as smoothly as possible and we can see more of Boyfriend Dungeon soon. Soco is a translator, writer and editor from Buenos Aires, Argentina who works in mobile games. She’s also a long-time tabletop roleplayer, a self-taught witch, and the mom of the tiniest, fluffiest mop of a dog. Follow @SocoCinconegui on twitter for pics of said dog and lots of game industry retweets.